Italian highlights - Practical information to help organize you journey in the best possible way...allow plenty of room for the unplanned...this is Italy you are traveling to. (by road, rail, air or sea) along with a brief introduction to this country's rich cultural history, traditions and artistic patrimony scattered thought the country. Links to other pages will guide you on a chronological itinerary taking in different historical and artistic periods, covering principal achievements, monuments and artists who have left their mark. Italy's history is long and great. The Etruscans in Tuscany and Umbria were the first major power in the Italian peninsula and Italy was first united politically under the Romans in 90 B.C.E. 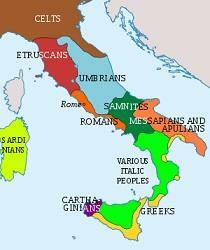 Romans used the name Italia to refer to the Italian peninsula (in ancient times, Calabria was knows as Italia). Following the collapse of the Roman Empire in the fifth century C.E. 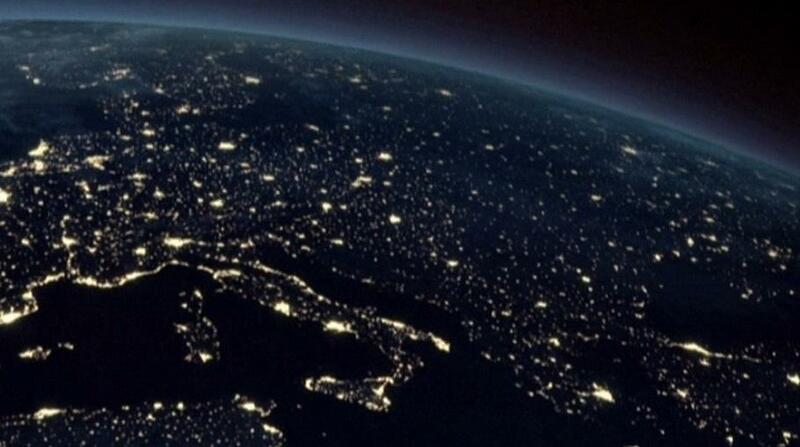 , Italy became merely a "geographic expression" for many centuries. Additionally, Italy has been invaded and settled by many different peoples. entered the south. 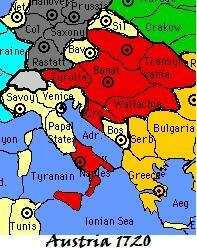 Jews entered the country during the period of the Roman republic, and Germanic tribes came after the fall of Rome. 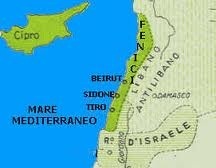 Arabs invaded the mainland from their strongholds in Sicily and North Africa. In the south, the Lombards claimed sovereignty, where they established a separate government, until they were replaced by the Normans in the eleventh century. The Byzantine Empire ruled the southern part of the peninsula for five hundred years, into the ninth century. Sicily had many invaders, including Saracens, Normans, and Aragonese. 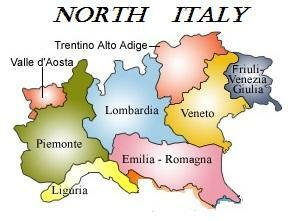 controlled northern Italy. There is a continuing ethnic mixing. The majority of the people are ethnically Italian, but there are other ethnic groups in the population, including French–Italians and Slovene in the north and Albanian, Greek Italian in the south. This ethnic presence is reflected in the languages spoken: German is predominant in the Trentino–Alto Adige region, French is spoken in the Valle d'Aosta region, and Slovene is spoken in the Trieste–Gorizia area. 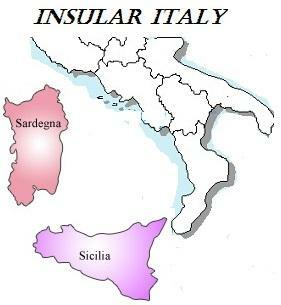 The most important of the islands are Sicily in the south and Sardinia in the northwest. 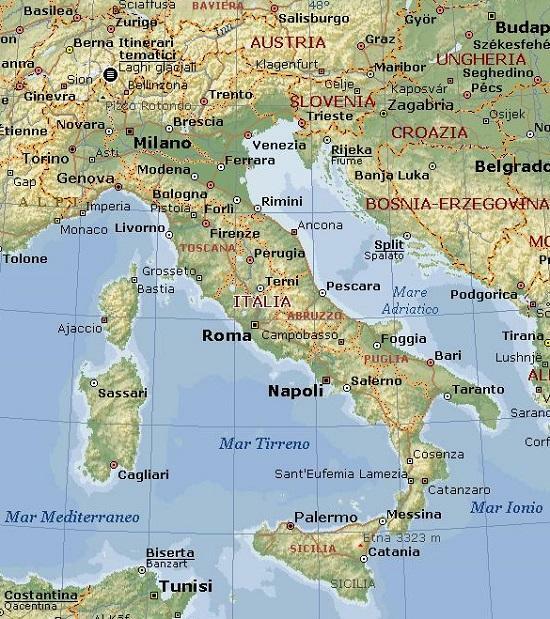 The Mediterranean Sea is to the south, and the Alps to the north. 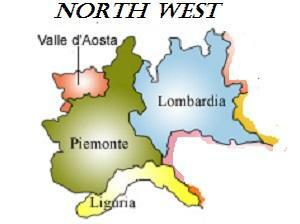 A chain of mountains, the Apennines, juts down the center of the peninsula. 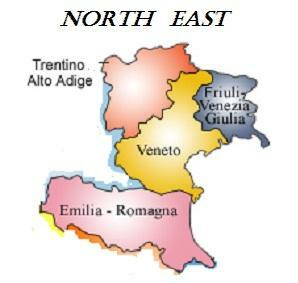 The fertile Po valley is in the north (Pianura Padana mainly in the region of Lombardia and Emilia Romagna). It accounts for 21 percent of the total area; 40 percent of Italy's area, in contrast, is hilly and 39 percent is mountainous. 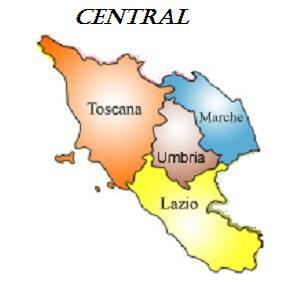 Italy is divided into 20 regions which are the first-level administrative divisions of the state. 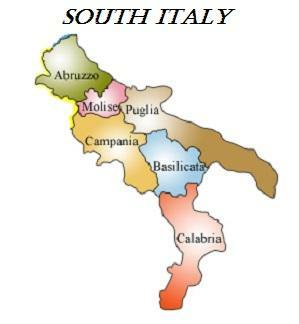 Each region (except for the Aosta Valley) is divided into provinces. 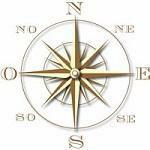 Regions are autonomous entities with powers defined in the Constitution. Italian Constitution grants to five regions (namely Sardinia, Sicily, Trentino-Alto Adige/Südtirol, Aosta Valley and Friuli-Venezia Giulia) home rule, acknowledging their powers in relation to legislation, administration and finance. 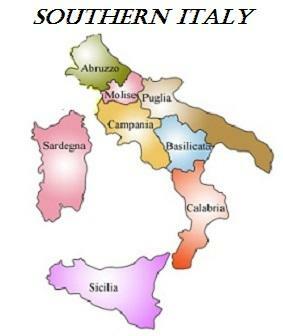 The Italian Constitution grants to five regions (namely Sardinia, Sicily, Trentino-Alto Adige/Südtirol, Aosta Valley and Friuli-Venezia Giulia) home rule, acknowledging their powers in relation to legislation, administration and finance. Trentino-Alto Adige/Südtirol constitutes a special case. The region itself is nearly powerless and the powers granted by the region's statute are mostly exercised by the two autonomous provinces within the region, Trentino and South Tyrol. In this case, the regional institution plays a merely coordinating role. Least populated region : Valle d'Aosta 127.900 hab. 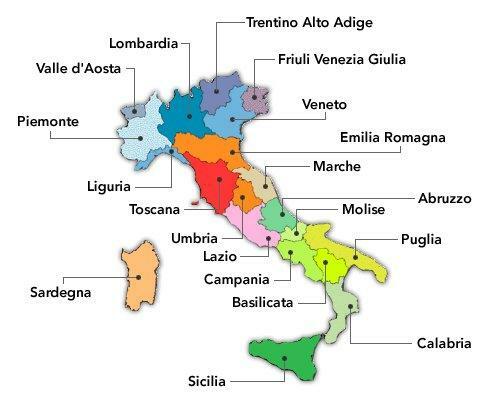 The term "Southern Italy", "Lower Italy", "Mezzogiorno", Meridione, is a non statistical geographical and historical term referring to all the South of Italy, comprising the two major islands of Sicily and Sardinia. The quickest way to get to and from the airport to the centre of Rome to the main Termini train station is to take the Leonardo Express train which departs every half hour and takes about 30 minutes. There are plenty of connections from one city to another, with frequent services from Rome-Fiumicino and Milan-Malpensa to all the other airports in Italy, and it is also simple and convenient to reach Sicily, Sardinia and the smaller islands from the mainland, with frequent services available. There are almost forty other small and medium-sized airports in Italy, present in every region except Molise and Basilicata. The airport is 30 Km from the City Centre. 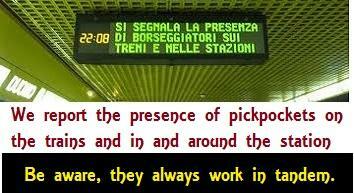 Trains from Roma Trastevere,Roma Ostiense, Roma Tuscolana,Roma Tiburtina. Time required about 40 minutes. daily Air Pullman service-every hour. The airport is 45 km from the city centre of Milano. Bus from the square beside Milano Central Railway Station-Every 30 minutes. Links with Linate by Air Pullman. The Airport is 15 km from the city centre. Bus from Anagnina Underground Station-Time required 15 minutes. Located 10 km from city centre. Bus from square beside Milano Central Railway Station to and from every 20 minutes. Pisa International Airport formerly Galileo Galilei Airport and San Giusto Airport . It is the main airport in Tuscany. Links to France are along the coastal line Genova-Ventimiglia-Nice or through the Frejus tunnel via Turin, Bardonecchia and Modane. The Sempione tunnel is the most important and most used link to Switzerland and central Europe, together with the Milano-Como-Chiasso line which continues in Switzerland up to the St Gotthard tunnel. The Brennero and Tarvisio lines lead into Austria and the eastern countries. Train ferries leaving from Civitavecchia , in the central region of Lazio and Villa San Giovanni in Calabria, link the two main islands, Sicily and Sardinia, to the mainland. SPECIAL TARIFF : Groups, people over 60, young under 26, students can benefit from special reduction. ASK. Shipping companies which make connections among the Italian ports.